Filed Under: One Pot, paleo, recipes, Side Dishes, Vegan/Lent Tagged With: asparagus ghee, low carb vegetable dishes, pan fried asparagus, skillet asparagus, the best asparagus About Courtney ODell Courtney loves to share great wine, good food, and loves to explore far flung places- all while masting an everyday elegant and easy style.... 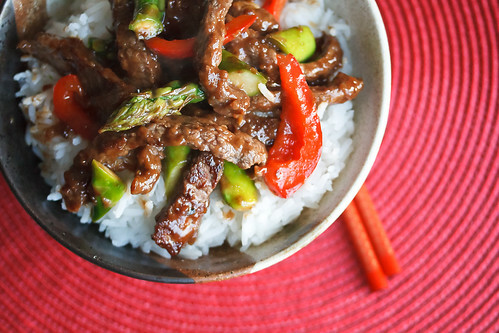 Crisp asparagus, sweet red peppers, and tender beef strips are coated in a light, homemade hoisin sauce in this quick weeknight Beef and Asparagus Stir Fry. We’re Growing Asparagus! Last year we planted some asparagus root systems. When the oil is hot, add the asparagus and stir-fry 1 minute. Add the cooking sherry plus the carrots and mushrooms. Stir-fry another 1 to 2 minutes, or until mushrooms are cooked. 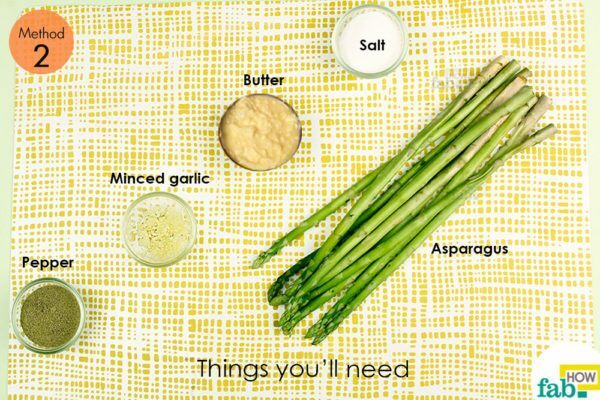 Love asparagus but tired of the usual preparations? Try it fried! This batter-less method for frying asparagus concentrates the flavor, cooks it beautifully and is the perfect match for miso aioli. Filed Under: One Pot, paleo, recipes, Side Dishes, Vegan/Lent Tagged With: asparagus ghee, low carb vegetable dishes, pan fried asparagus, skillet asparagus, the best asparagus About Courtney ODell Courtney loves to share great wine, good food, and loves to explore far flung places- all while masting an everyday elegant and easy style.